France is stuck in a major rut. 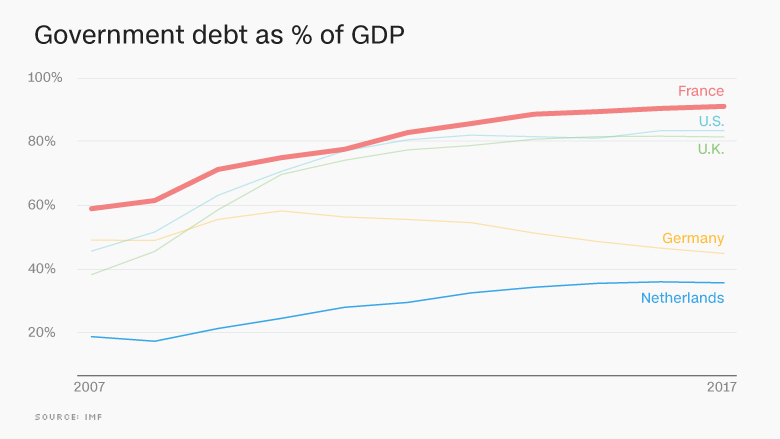 Europe's third biggest economy has suffered years of anemic growth, high unemployment and budget deficits, while neighbors such as Germany and the U.K. have enjoyed a stronger recovery from the global financial crisis. The country's economic malaise is a major issue in presidential elections. Before voting began Sunday, the contest had narrowed to a four-way race between candidates from across the political spectrum. 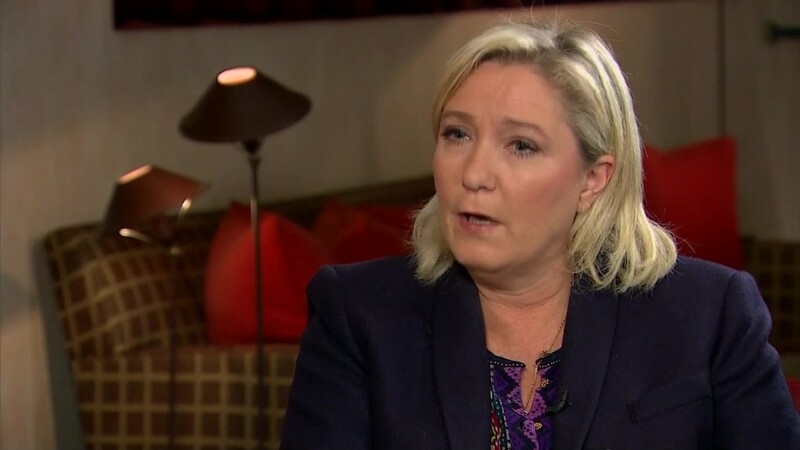 Two of them -- far right politician Marine Le Pen and socialist Jean-Luc Melenchon proposed radical ideas on how to improve the economy. Both oppose free trade agreements and are highly critical of the euro. Melenchon crashed out in Sunday's vote but Le Pen came second and now faces centrist reformer Emmanuel Macron in the run-off. But will either of them have the right prescription to cure France? 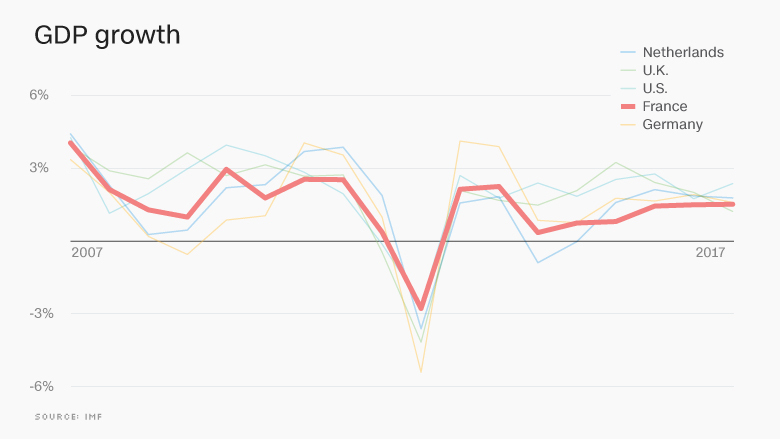 After years of slow growth, the country's GDP figures are finally turning higher. But they remain at very low levels. The French economy expanded by 1.2% in 2016, according to the International Monetary Fund. The two larger economies in Europe -- Germany and the U.K. -- posted growth of 1.8% over the same period. The IMF predicts growth of just 1.4% for France in 2017, one of the weakest rates in the EU. 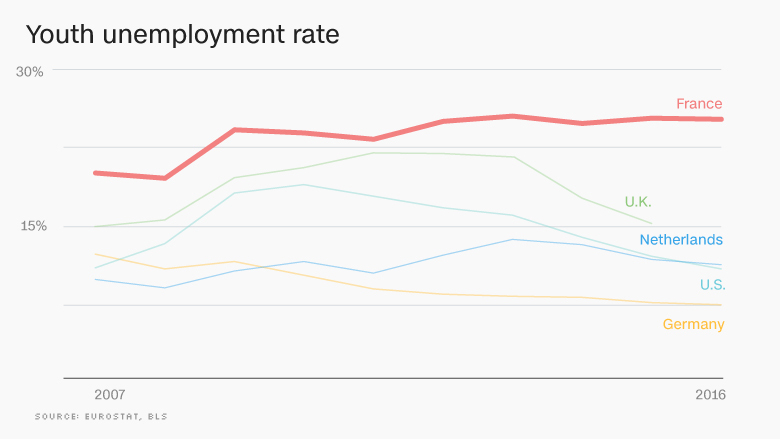 France is also struggling to bring down its unemployment rate, which stands at roughly 10%. That's higher than the eurozone average and more than double the level of joblessness in Germany and Britain. The unemployment problem is even worse for young people: 24% of those between the ages of 15 and 24 don't have a job. There are a few bright spots, however. 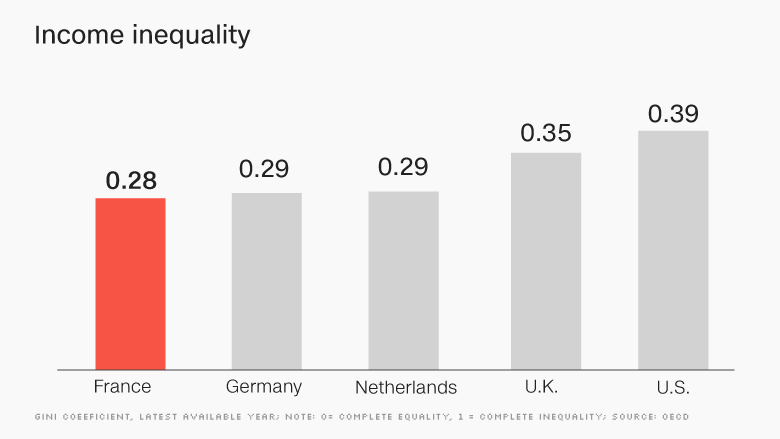 France has relatively low income inequality and fewer of its citizens are at risk of poverty than in Germany or the U.K. 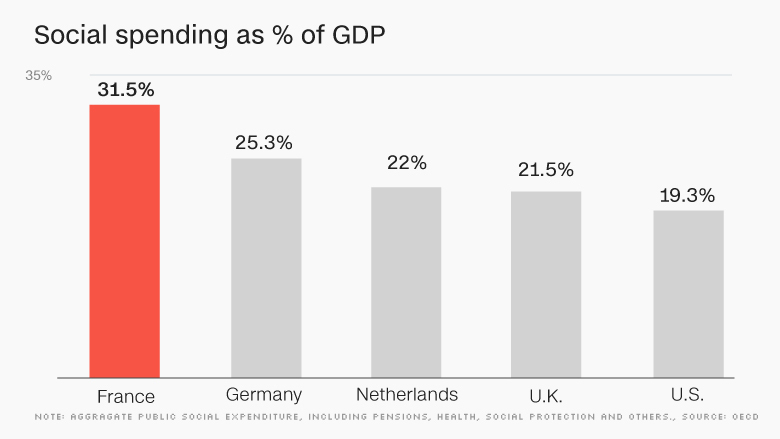 The percentage of GDP that the government spends on social programs and welfare is much higher in France than other major economies. The generous welfare system has led to higher budget deficits, however, and the French healthcare system is in desperate need of more cash. The IMF has called for economic reforms to bring public spending under control.